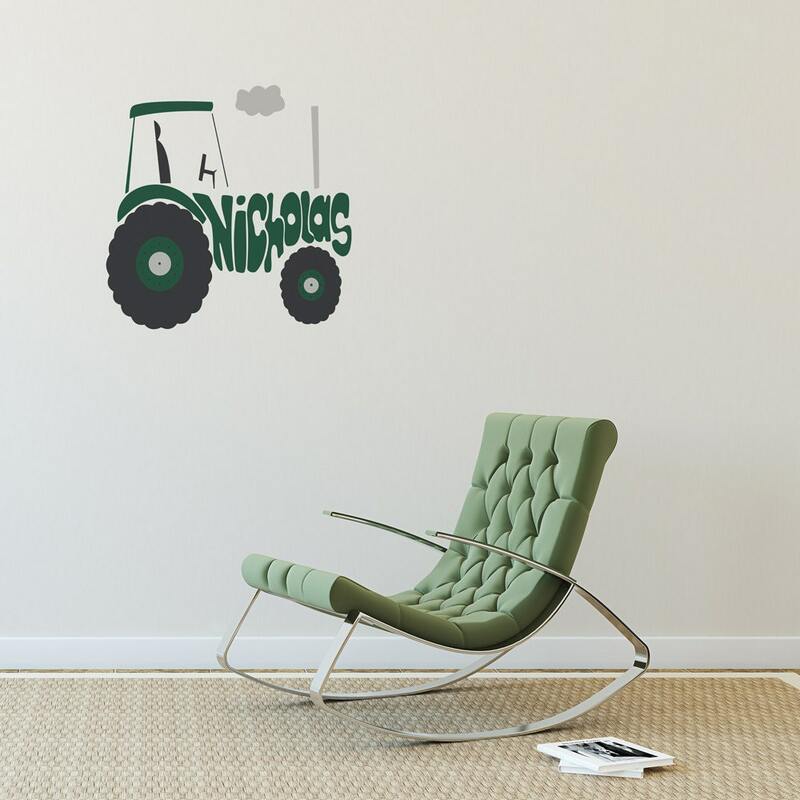 Unique and highly personalised tractor wall art, drawn by hand initially, personalised with a name or word of your choice. Perfect for those buddding farmers. 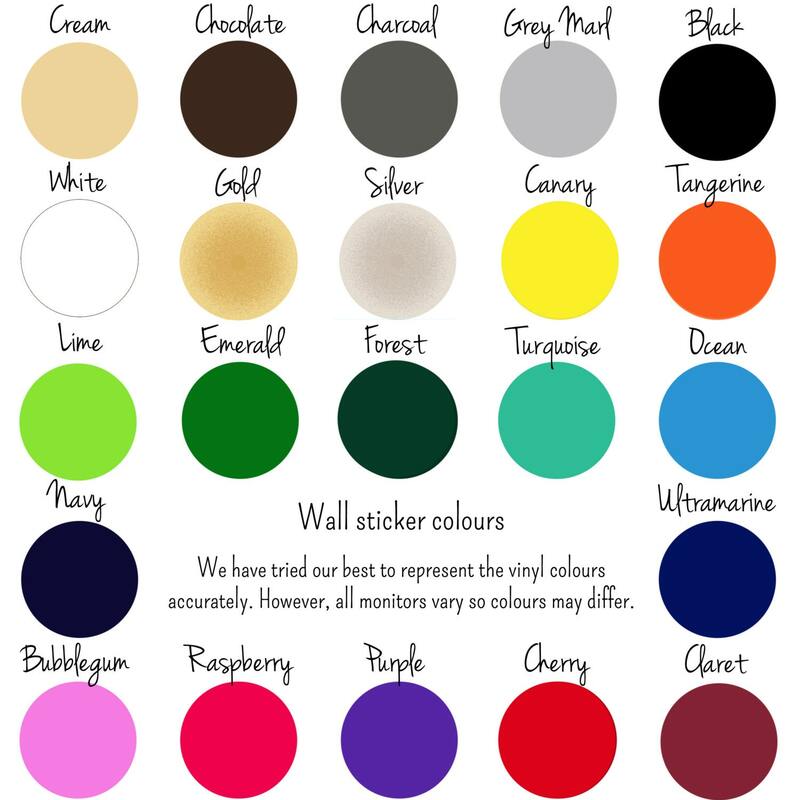 Just enter your chosen name, choose a body colour from the colour palette picture - it comes with black tyres, metallic sliver hub caps and exhaust pipe. 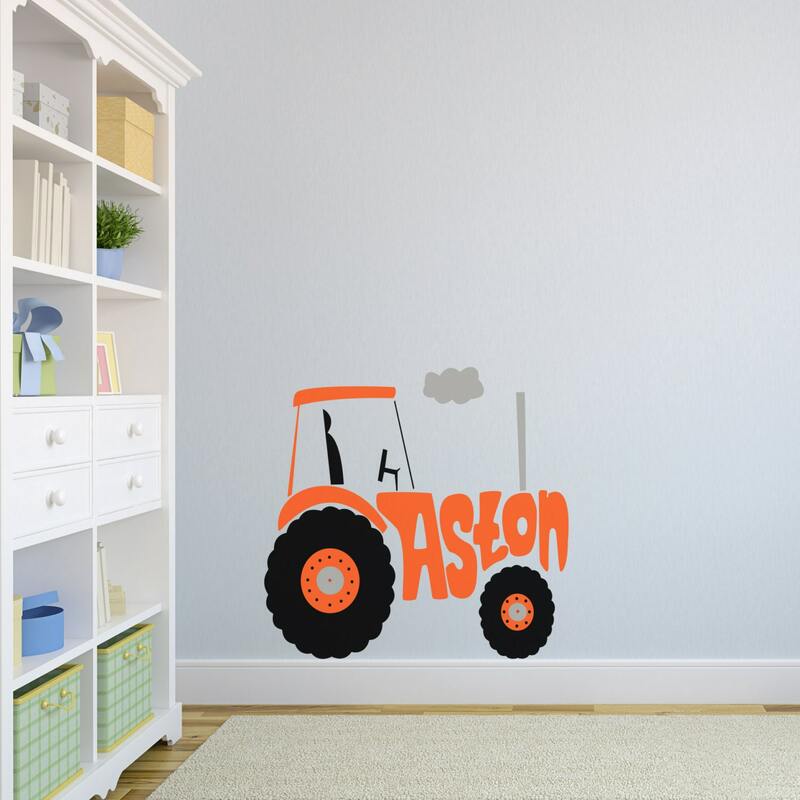 Your tractor sticker will be supplied as one giant sticker with all the separate colours grouped together. This allows easy application. Available in a selection of 22 of colours. Please type the name to be designed into the body of the tractor.